2013 Jan 19 The Sandy Hook school shooting in Newtown, Connecticut reminds me of a story in the RUOW books and the dark Wizard (Lucifer) Book 1 (Chapter – The Land of Pan). The story is about how the Dark Wizard had organized duel contests, where he defeated every wizard that challenged him by denying the validity of the others wizards approach, and by insisting that the duels had to be done according to his rules. 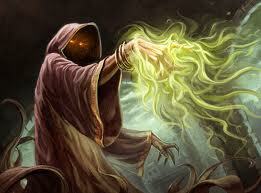 Some wizards that saw the duels refused his challenge and said he should be stopped. Others said that he was not such a bad guy after all, and still others tried to quiet their fears by telling themselves and others that he wasn’t really gaining power, that it was only an illusion that they weren’t going to believe. The Dark Wizard gained a lot of energy from these denials on which to feed and he got more and more powerful and found that he could do things right in front of others that they did not want to see, and they would not see them. If he was noticed, he denied what he was actually doing and said he was doing something else. 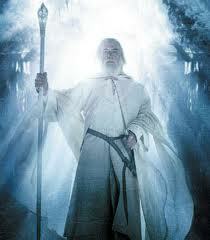 Some that didn’t want to accept the horror of what was actually happening helped the wizard explain away his outrages. 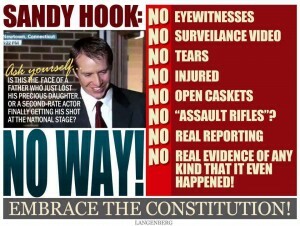 Sandy Hook is a repeat of what happened in Pan, only in a different form. As long as the general public, “sheeple” continue to deny the reality they are experiencing, their reality will not only, not change, but will get worse. They avoid and deny what they see and feel because they have a false sense of hope, and have convinced themselves that things aren’t really as bad as others make them out to be and that the government will fix the problem, or that someone will save the day. Sad to say, it doesn’t look like they are going to change their denial based point-of-view until it is right in their face and up close and personal, and then watch them scream about the injustice and heartlessness they are experiencing, and then they will either be begging for help or trying to fight their oppressors. We have been brainwashed for eons and naively believe and accept the illusions we experience, as being natural and reality. Politics, religion, media, etc., are all power and control based tools used by those in a position of power to maintain and expand their empires. The hypocrisy and unlovingness that is happening now, I witnessed and felt on a smaller scale as a child and I have seen it steadily increase, to where it is now becoming blatantly obvious and an in your face experience, yet people still continue to deny the falseness and heartlessness of it all. Politicians, religious leaders, media, etc., are caught red handed in their denials, lies, deception and heartlessness, yet it’s all dismissed by the general population (sheeple) as normal, while those that are aware and speak up, are shamed and ridiculed. The awareness that there is something majorly wrong with this reality is what I call “the quickening,” the beginning of the stirrings of consciousness. The real challenge is to awaken and heal the parts of our Essence that has been damaged by our living in this heartless reality as that is when things will truly change. This entry was posted in Conspiracy - NWO, Media - Internet, Military - Police - Laws, Politics - Government, Society - Culture and tagged awakening, challenge, Dark Wizard, denial, duel, general public, horror, hypocrisy, land of Pan, Lucifer, media, politics, quickening, religion, Sandy Hook, Sheeple, Shootings by johnrieger. Bookmark the permalink.